Wahooooo!!! Congratulations! That is no small task and I'm super proud of you for doing that. I don't even venture out on my own either. It's just easier. A couple of weeks ago I got back from an activity and Tyler had taken all 5 with him grocery shopping and I about passed out. It's daunting but I'm so glad the cart was there and you had a good experience. 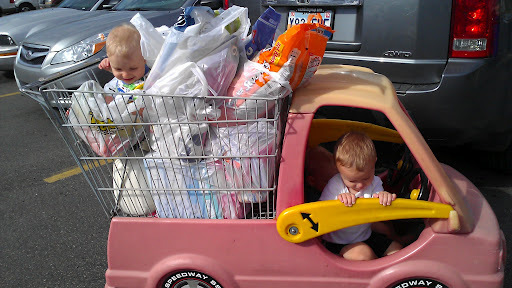 I love it when shopping (with 3 boys) goes smooth! Congrats on the successful first run! !